Texdata International - New line of business for Mayer & Cie.
Mayer & Cie. (MCT) has since December a new line of business. From January 2019, the company is manufacturing braiding machines in addition to circular knitting machines at its Albstadt works. Mayer Braidtech, a wholly owned Mayer & Cie. subsidiary, is responsible for sales and service of the new machines, manufactured for the past 40 years by US-based affiliate Mayer Industries. With Mayer Industries due to cease operations in the medium term, Mayer & Cie. has decided to integrate and take forward this successful line of business at its Albstadt location. It was apparent right now, how important diversification is, Benjamin Mayer, Mayer & Cie.’s co- managing director, noted. He is responsible for sales. After a fast and furious start to 2018 demand for circular knitting machines had tailed off in the second half. That was mainly due to turbulence in international trade policy, he said, in the wake of which uncertainty had spread widely in many important circular knitting markets. Order books for braiding machines, in contrast, are full for months ahead because other laws apply to the hydraulic hoses used in, for example, automobile manufacturing and aviation. That is also true of tubes that drive pumps on the seabed in offshore operations. Braiding machine manufacturing capacities are currently fully booked until the beginning of 2020. Although circular knitting and braiding machines are only distant relations, there are many synergy effects between the two lines of business. “That was a powerful argument for integration,” says Benjamin Mayer. “Our new investment stays within limits because we can make many braiding machine parts with our existing machine tools and production machinery. Assembly employees can not only assemble circular knitting machines, shipping employees can not only ship circular knitting machines.” Mayer & Cie. also anticipates a positive effect in the key sector of research and development, but with the stated aim of establishing a separate research department as soon as possible. 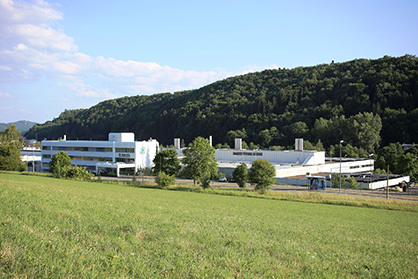 In January 2019, Braidtech is embarking on series production in Albstadt-Tailfingen. Preparations for this milestone took nearly 12 months. Premises needed to be provided, the production line prepared, procurement organised and, not least, the team lined up. At the moment, it consists of 12 employees who do production-related work in, say, assembly, quality assurance and logistics. The plan for the first half of 2019 provides for the shipment of two double deck systems, each consisting of two MR15 24 Carriers, per month. Preparations are also be made for series production of the second model in a range consisting of six products. As overall demand still exceeds production capacity in Albstadt-Tailfingen, Mayer & Cie. affiliate Mayer Industries will continue to manufacture braiding machines in the year ahead. Mayer Industries, based in Orangeburg, South Carolina, has made a name for itself in this field for the past 40 years and its systems are considered to be premium products. Founded in 1970, Mayer Industries originally manufactured circular knitting machines, but when orders stopped coming in during the 1970s crisis the owners, the Mayer family, acquired patents for braiding machines, thereby laying the foundations for a new, distinct line of business. When Mayer Industries ceases business operations, probably at the end of 2019, this line of business will continue to provide its services, but at a different location.